We hear it all the time. Why pay for a service to come out and seal your driveway when the materials and tools are available off the shelf? A totally legitimate question, but those asking it rarely truly investigate. The fact of the matter that there are a number of good reasons why you ought to elect for the professional treatment as opposed to the DIY route. The driveway sealants that you can buy off the shelf are engineered differently than what you get from ProSeal. Off the-shelf solutions are designed with preservatives that give them ‘shelf life’. 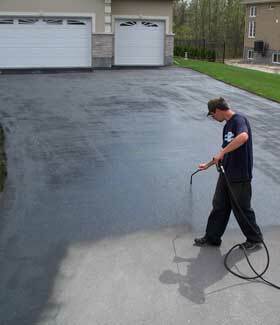 Liquid carbons such as those that your driveway needs in order to stay sealed are a combination of oils that separate quite easily. Preservatives prevent this, but they also reduce the ability of a sealant to do it’s job. Store-bought solutions will form a thick black layer on-top of a driveway, stopping further damage from occurring but doing little to restore the health of your asphalt. A professional treatment will ‘sink in’ and moisten your driveway similar to a moisturizer and your skin. Because the sealant gets deeper into your asphalt, it not only prevents further damage, but brings your driveway ‘back to life’. If you consider the benefits in longevity provided by professional sealant, it’s not immediately evident that store-bought sealant provides cost savings. 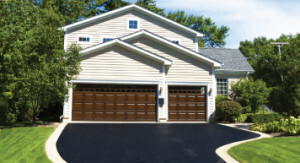 Because it sits on top of your driveway, store-bought sealant doesn’t have the same purchase, or hold, on your asphalt. As it is dried out by the sun in the summer and salt during the winter, it becomes dry and begin to crack and flake, requiring re-application. ProSeal’s sealant is within the asphalt itself, less exposed to salt and sun, and therefore lasts considerably longer between applications. Makeup is all about creating the impression of healthy skin, whereas moisturizer is all about making skin healthy. In the case of store bought vs. professional grade driveway sealant, the story is the same. Because they simply sits on top of your asphalt, off-the-shelf solutions will prevent further damage from eroding your driveway, but requires more intensive maintenance over the life of your driveway. Electing instead for a treatment from ProSeal may seem more expensive in the short term, but in the long term is an economical decision. 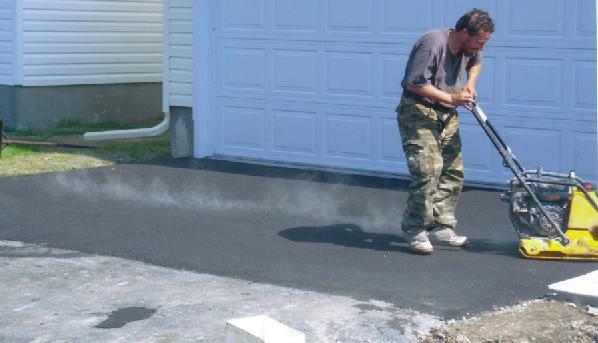 If you’re looking into sealing your driveway, don’t settle for anything less than what your driveway needs. For all your asphalt concerns, get in touch with ProSeal.